The 2019 MassCUE/MASCD Conference held at Holy Cross was, by all the comments I heard, a success. Julie Wilson was an engaging speaker and the choice of sessions was huge. My ‘job’ was to greet and thank the vendors who displayed their wares and supported the conference. How long has it been since I suggested this..I think I was still in high school! Two companies have teamed up to provide students with options to perform real or virtual dissections. Carolina Biological Supplyis working with VictoryVR on the project. The first company provides supplies for science programs in K–12 and higher education; the second company develops virtual reality content in several segments, including education. Dian Schaffhauser is a senior contributing editor for 1105 Media’s education publications THE Journal and Campus Technology. She can be reached at dian@dischaffhauser.com or on Twitter @schaffhauser. The world has merged. In today’s (12/14/18) news came the announcement that Bloom’s Taxonomy is now available digitally! Please google because this new version of WordPress isn’t letting me insert the page. On December 3, 2018, the Federal Government’s Five Year STEM Plan was presented on a conference call attended by over 200 people (imagine they took half a dozen questions!) This morning Jeff Weld sent me a copy because it was not obvious how to locate it. In an email earlier Jeff wrote “Your influence will be recognizable in it!” As soon as I locate it I will memorialize it (smile). And as soon as I have an understanding of it a little more deeply than as a result of yesterday’s “presentation” I will speak with Jeff, at his suggestion. Of course, now, a few days later, the plan is all over the news. It is interesting to see reactions. On August 27, 2018, the Governor’s STEM Advisory Council invited many past players and current supporters to the State House to plan MA STEM Week, October 12-16, with a follow up session at the STEM Summit in November. I lost track of the Council and actually thought it had been disbanded…But Rep Kennedy, Sec. Peyser, Lt Gov Polito were there and two of them spoke with me! There were also many old friends. The BC experience as a panel member was memorable, especially since ASCD indicated it plans to nurture the relationship…although I tried to connect ASCD to HGSE. Then came this news on November 3, 2017 in the Globe. There will be a Center of STEM at BC! And note the mention of Boston University! It gives me great pleasure to announce that the book written by Jeff Weld, my colleague from Iowa, has been published (shipping after July 30, 2017). I contributed a chapter which appears on page 162. Jeff wrote to me…Thanks so much for strengthening our message of access to — and importance of — STEM education for American kids to be life-ready! The book is available (hard copy or e-book) at https://www.nsta.org/store/product_detail.aspx?id=10.2505/9781681403960. During February and March, as a part of the CITGO STEM Talent Pipeline Program, which seeks to increase access to educational opportunities in STEM, the CITGO Lemont Refinery participated in four STEM-related events for area youth. “As a company, we are committed to investing in the next generation of STEM leaders. Partnering with area schools is just one example of how we are encouraging STEM education,” said Jim Cristman, vice president and general manager of the CITGO Lemont Refinery. Since the Massachusetts Education Reform Act of 1993, schools in the state have focused on strengthening students comprehension of so-called STEM topics. The first three areas depend largely on competency in the last one  math. Massachusetts students are doing quite well in the subject overall, but critical gaps remain. One benchmark is the most recent results from testing for the Program for International Student Assessment, or PISA. It shows the state is tops in the country in math, but when you zoom out and look globally, Massachusetts ranks 20th in the world. Please save May 12, 2017 for the fourth annual Global STEM Education Symposium at the Harvard Graduate School of Education in Cambridge, MA starting at 7:30 am until 1 pm. The program will be posted shortly and an Evite will go out to people who have attended previously and other colleagues. If you are interested in attending and have never been involved before, please let me know (ikz1@verison.net) and we will send you the necessary information. Reynolds’ initiative: Iowa Gov Introduces Program to Prepare Students in STEM. This is from whotv in Des Moines. The physicist recommended this article from Nature Sept 2016. It brought back memories of G & T programs tried in MA and of testifying before a commission about the subject now even more interesting because of the STEM implication:how-to-raise-a-genius. This article reflects on STEM schools and what they provide: stem-success-traits. Another milestone, of a sad nature, from the Boston Globe: Seymour Papert, pioneer of using computers in education, dies at 88 – What is not included is that at some point he claimed that technology had not achieved its potential. That statement, in my opinion, set back progress in school technology somewhat. I also, at the time, commented that the laptop per child program was great but why not also include the areas in the US that needed support. In the words of the Iowa Governor’s STEM Advisory Council: School+Business Innovation Conference. My thoughts are in the Reflections/Observations page. Iowa has been in the news:Grant helps elementary schools boost engineering enthusiasm | eSchool News and the Governor’s action:Branstad signs technical education bill at Waterloo community college | The Gazette. We are planning an even more ambitious event in 2017!!! The Board of Elementary and Secondary Education voted yesterday January 26, 2016 to adopt the 2016 Science and Technology/Engineering (STE) Standards. The Department thanks all individuals and groups that provided input, reviewed comments, and suggested edits to the standards. We are grateful for the dedication and expertise of all the educators, scientists, scholars, and other participants who engaged in this endeavor. The Board of Early Education and Care (EEC) is scheduled to vote to adopt the Pre-Kindergarten STE standards on February 9, 2016. The Department will copyedit the full 2016 Massachusetts Science and Technology/Engineering Curriculum Framework. The Frameworkincludes the standards and a variety of additional guidance and supporting materials. We expect to publish and post the completed 2016 STE Curriculum Framework in early spring 2016. I have been waiting for a synopsis of the ESSA. This article speaks mainly to the tech side: How ESSA will boost ed-tech funding | eSchool News. •the explicit prohibition for certain actions by the Secretary of Education. A new Ohio State University study asks: Where are all the girls? Gender roles, career stereotypes to be challenged at 3 middle schools. We knew enough not to blame the technology: Current Realities Of Ed Tech Use. We also know how important money is for schools. Another milestone reached! High Stakes Computer Testing Reaches Tipping Point — THE Journal. The Museum of Science, Boston today announced a new initiative to bring high-quality professional development to elementary teachers at high-needs schools nationwide. The Museum is investing $200,000 to create a scholarship program that will help elementary teachers integrate engineering in their classrooms, using the award-winning Engineering is Elementary® (EiE®) curriculum, developed at the Museum’s National Center for Technological Literacy® (NCTL®). “We are very excited to offer elementary educators the Museum’s own scholarship program,” says Museum president and director Ioannis Miaoulis. The Boston Globe ran this article on October 27, 2015: Some states deserve better rankings. With all the current furor around testing, this is useful information. STEM Education Act Clears Congress. Last week Congress passed the bipartisan STEM Education Act (H.R. 1020), clearing the way for the bill to go to the President for signature. The bill would expand federal grants and programs related to STEM education to include computer science, support competitive merit-reviewed grants for informal STEM education (such as at museums, science centers or afterschool programs), and expand eligibility for the Noyce Teacher Program. And this article:New Federal Law Means Computer Science Is Officially Part of STEM – Curriculum Matters – Education Week…..Really??? Interesting and about time: An article from Education Week by Robert Pondiscio and Kate Stringer (10/12/2015) is entitled “Deans for Impact Group aims to reform Ed Schools From Within.” It would not upload so you will need to go to the EdWeek website. This annual conference is the result of several years of collaboration between MASS and MassCUE…one of several collaborations we are working on. Visit www.masscue.org to sign up for the “Dare To Innovate-MassCUE/M.A.S.S. Fall Conference” at Gillette Stadium on October 21 and October 22, 2015. It is a great place to find out what is happening and could happen in schools vis a vis the use of technology. More fall out from the hold placed on the MA Gov STEM Advisory Council. The Iowa Governor’s STEM Advisory Council met on September 15, 2015. I was fortunate to fill in as a panelist that morning. The next day I spent at the Howard-Winneshiek Community School District at the invitation of the Superintendent, John Carver. One of the activities was speaking to the communications person, Keri Schatz, who was kind enough to send me the transcript of the taped interview. One of the difficulties is that we do not speak as we write and vice versa so the language is not as elegant as I would like. But the content is there and will be available in the school district and perhaps other outlets. For Immediate Release- IKZ in Iowa. You can see for yourself! Also the Lieutenant Governor approved the creation of a Global STEM Advisory Committee to the Council which I will co-lead and which has begun formation. As I emailed Steve Vinter, Congratulations! It is amazing how much impact Mass CAN has had: Legislature restores full funding to computer science education initiative. The good news is that it is a STEM school in Boston. The bad news is that a piece of history is being eliminated: City moving ahead with plan with STEM school, from The Boston Globe. Building Learning Communities 2015, Alan November’s annual conference took place this July at the newly renovated Park Plaza Hotel. My presentation, a modification of one Jeff Weld, Larisa Schelkin and I presented in DC last year, was attended by about 50 people: States Learning From Each Other. Please note that if you are interested in using any of these ideas, I would appreciate your contacting me. Since JFY Networks is engaged with the Accuplacer, this news is worth reading:ACT drops popular Compass placement test, acknowledging its predictive limits. The Iowa Governor’s STEM Advisory Council met in DesMoines. It was a very interesting and well planned program, attended by about 600 people (including me). The Lt. Gov stayed with the Council all day and the Governor (Iowa kicks off STEM conference) held a press conference before the summit started and the stayed for half the day. Iowa is moving ahead with STEM in a deliberate, engaging and inclusive manner. The news about Net Neutrality has been all over the media. This is a brief article about it from the Washington Post: Your guide to net neutrality: Everything you need to know about today’s FCC vote. Another view of global STEM education State of Digital Skills in the UK. Complementary to the next article. This is not news to many of us but it is distressing and should be motivating. U.S. Millennials Come Up Short in Global Skills Study. From Education Week. THE Journal reported on Feb 11, 2015 that there is a movement among legislators to make Computer Science Count for Language Requirement. George Zimmerman and I were notified on January 30 that our manuscript entitled “Where Do Our Students Encounter Materials- Everywhere and Rarely” has been accepted for publication in the 2014 MRS Fall Meeting proceedings. This article from the Lowell Sun speaks for itself: Representative Kennedy stops by MCC to soak in STEM education success firsthand. This is a move by the outgoing administration. It is a disappointment to me: MA Gov STEM Advisory Council 2015 and yet The Global STEM Education Committee of the MA Gov STEM Advisory Council was authorized in the fall of 2014 and had its first meeting on Sept 15 before the meeting of the whole Council. I am the chair. We defined Global STEM in this way: STEM work now and in the future will be characterized by teamwork/collaboration across geographies and cultures and with the use of cutting edge communication and other technologies to solve critical challenges and problems faced by the world. All students need to acquire the necessary knowledge base and skills and practice them so they become proficient in all these dimensions. For students to be able to achieve this proficiency, their teachers must be equally educated and supported: understanding and working with diversity of all kinds, with technology and science, technology, engineering and mathematics. The members are: Fran McDonald, Captain at MassMaritime Academy, Antonio Pagan (CELT), Larisa Schelkin (Global STEM Education Center ED), Richard Tharin (MS, RAC, Chief Executive Officer, Eureka International Regulatory Services, LLC) and Gary Beach (Author, “U.S.Technology Skills Gap”, Publisher Emeritus, CIO Magazine, Guest Columnist, The Wall St Journal). Through the Superintendents’ Listserv I sent this questionnaire: Global STEM Education Baseline Survey to all members and received a few responses which we will analyze and report out. We also received two offers to join the Committee. At the moment, the Council is on hold. Robotics developer iRobot launched its latest “hackable” robot for aspiring developers last week. The Create 2 might look like a Roomba — which iRobot manufactures too — but it’s actually a lookalike, one that isn’t necessarily meant for cleaning jobs. Roomba vacuums have the potential to be a good base for robots — because of the sensors that they use to maneuver around a room, for one thing. Unlike Roombas, the Create 2 is designed specifically with robot makers in mind. The latest device is the successor to the iRobot Create, which has been available since 2007. Since it was relatively cheap to buy, the Create was a good starter option for people with a knack for robotics. The issue with the old Create is that all of its electronic bits weren’t up to preferred safety standards, iRobot founder and CEO Colin Angle told IEEE Spectrum. That creates a pretty big problem because it couldn’t be sold outside the U.S. And 2007 wasn’t exactly yesterday, so it was due for an update regardless. The question for humans is which of these jobs do we want performed by a robot? At one time we listed the STEM labelled schools in MA. TECCA is one such. This item comes from The Journal. We still have this version: MA STEM Schools 2012. When we tried to update the list, we went to Google (which we had used before) and were overwhelmed by the number of citations currently. Something that was not available back in 2012 is a review of comprehensive high schools which offer STEM opportunities and a process to determine what makes a good STEM school. This article seems useful: What is a STEM school? It is always good to have the President of the United States supporting a movement with you:Pres Obama_adds $28 Million for STEM Ed. Joan Thormann’s and my book, The Complete Step-by-Step Guide to Designing and Teaching Online Courses, was just declared a Best Book of 2014/Editors’ Favorite Books of the Year by Amazon. It is both a paperback and an ebook!!! Amazon Best Book. The Oct 19, 2014 edition of the Globe ran a wonderful article about a member of the Governor’s STEM Advisory Council. The article is worth reading:Wentworth educating engineers who form the backbone of innovation economy. At the Triangle Coalition meeting in Washington, DC on October 9, 2014, Jeff Weld, Larisa Schelkin and I presented a session entitled Learning From Each Other, the story of two states’ sharing of STEM development. At the Boston STEM Network meeting on September 17, 2014, members of the BPS demonstrated the Bee-Bots. STEM’s newest darling: Robotics. They are a delight to play with and obviously useful for teaching and learning!!! Yet another story worth reading: Coding for Kindergarteners. The TIME Magazine edition, September 22,2014, features many responses to the Apple announcement of the new watch and the iPhone 6. On page 16 there is an article: Disruptive tech is changing how kids learn. On page 41 there is an article about Apple’s new watch and its potential impact. And a School Committee member once questioned why the school district was buying Apple products!!! The E-Rate program has been Revamped E-Rate Policies_EdWeek_8_6_14 by the FCC. Science from Scientists just announced a new ED and an updated website: http://sciencefromscientists.org. The state of Iowa is proud to join the national movement Million Women Mentors (MWM). Iowa is deeply committed to leveraging the strong work ethic in our state by bringing MWM to all 99 counties across the state. We are actively engaging women (and men) to serve as mentors in STEM and MWM. With that in mind, the MWM Iowa effort brings together leaders of education, government, and industry to engage girls and young women to understand, develop interest, and gain confidence so they can pursue and succeed in STEM courses, degrees, and careers. “MWM mentors can guide, encourage, and open doors for girls and young women to be fully equipped for the great jobs of tomorrow in STEM-related careers,” said Iowa Lieutenant Governor Kim Reynolds. STEMdaily News Alert- July 30, 2014 IT Initiative Enlists Women in Computing and Google reaches out to girls. From the Boston Globe, July, 2014: Elite male professors train fewer women biologists. From the Boston Globe, June 30, 2014: Google reaches out to girls. This is a parallel commentary to an article appearing in Campus Technology:IT Initiative Enlists Women in Computing. From the Boston Globe, June 16, 2014. Both Mark Racine and Leo Brehm were panelists at the CED presentation in Burlington. See Reflections and Observations. This story is entitled: Most Massachusetts schools lack enough technology for state online testing system. ASEE to Honor Museum of Science President Ioannis Mialoulis and National Center for Technological Literacy At its 2014 annual conference, the American Society of Engineering Education (ASEE) recognized Ioannis Mialoulis for his leadership at the Museum of Science, Boston and the National Center for Technological Literacy (NCTL). Mialoulis, who serves at the museum’s president, founded the NCTL in 2004 to advance science, technology, engineering, and mathematics (STEM) education across all levels, especially in elementary schools. ASEE President Kenneth Galloway will present the President’s Award to Miaoulis and NCTL, jointly, during a conference plenary session on Monday, June 16. (From The Triangle Coalition, June 6, 2014). 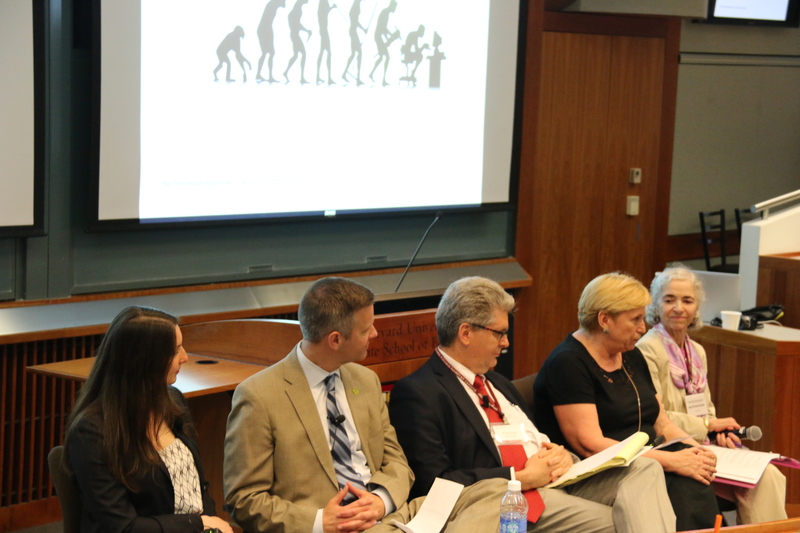 EDC, in conjunction with NSF and the office of Representative Joseph Kennedy, mounted the “STEM Smart: Pathways to Middle-Skill Occupations and Beyond” meeting on May 12at the Olin College of Engineering. STEM again in the news on April 16, 2014:Siemens donates $660M in software to Massachusetts technical schools &colleges The Boston Globe. At the Metro North STEM Network (the eight MA STEM network) kick-off meeting on February 28, 2014, Keith Connors presented the STEM Pipeline Fund History. The K-12 influencing Higher Education as Six colleges flip STEM classrooms. The Knowles Science Teaching Foundation describes how it created a Network of STEM Teacher Leaders. If you have been watching the Olympics, figure skating in particular, you will enjoy this analysis of the sport through physics. Both the MA and Iowa STEM Advisory Councils have new brand logos. You can find MA’s on page 9. You can find Iowa’s on this page. EdWeek reports that “most states in the US surpass the global average”: U.S. Math, Reading Achievement Edges Up, But Gaps Remain The 2013 STEM Summit at Gillette Stadium on November 13 is fully subscribed. STEM Plan V2.0 will be released and explored. The Governor is expected to be present. Purdue University seems to get it. Teaching a new kind of STEM. GTEC presented at the MassCUE/MASS Conference at Gillette Stadium on Thursday, October 24, 2013. From the Boston Globe the story in March 2013 about the Closing of K-8 cyber school leaves an opening for others. The Virtual High School which started in Hudson (Acton-Boxborough missed a chance to be a charter member because of a delayed phone call!!!) still thrives. The Boston Globe (9/30/13) ran a story entitled Life on the other side of the Nobel Prize. I was at UMass when Craig Mello received his prize. He was extremely generous about allowing the UMass President’s Office to use his home town school (it helped that Tony Bent was the Superintendent) to tape a session with Shrewsbury high school students in the cable studio. Craig insisted on having students present and interacting with him to achieve the goal of exploring how one becomes a scientist. Thank you, Dr. Mello. We attended LearnLaunchx’s First Demo Day and are excited about the organization and the ventures it is supporting. Among the first and best served were those needing accessibility. Say it isn’t so, Boston Globe, September 9, 2013. Read the opinion piece entitled: Digital Education Must be accessible to those with disabilities. Who would have thought when we started to convince schools that computers would be great instructional tools? A new Digital History Museum is in the works according to Boston Globe, August 31, 2013. Some of us experienced that phenomenon ourselves as we purchased the next iteration of the device. In my case, the schools I was working in received the prior version as a gift. STEM Summit 2013 on November 13 at Gillette Stadium included a strand about the STEM Plan V2.0 which Lance Hartford and I co-led. We are now working with Allison Scheff, the recently appointed Executive Director of STEM at the Massachusetts Department of Higher Education Shades of Search4STEM are appearing in many places. The 2013 MA STEM Summit was held on November 13, 2013 at Gillette Stadium. A major strand dealt with the MA STEM Plan v2.0. We are expecting over 1000 attendees. The Council prepared an assessment of v 1.0 if the state STEM plan so that v2.0 can be developed in time for announcement at the MA STEM Summit on November 13 at Gillette Stadium. Lance Hartford, Executive Director of the Massachusetts Biotechnology Education Foundation and I were the co-chairs of this task. Check out the Next Generation Science Standards http://www.nextgenscience.org/. 1. Pioneer Valley (aka PV STEMNET) – Award $39,780 The Pioneer Valley STEM Network, in partnership with afterschool and informal STEM providers such as the Region I Educator and Provider Support Network of the MA Department of Early Education and Care, the Massachusetts Afterschool Partnership (MAP) and other youth groups such as Girl Scouts and 4H’s, will use the incentive funds towards the development of strategies to support sustainable high quality informal science and engineering education opportunities in Out-of School Time (OST) programs. These strategies will include the creation of a database of expert consultants and volunteers who are available to the OST community; training of OST staff by academic researchers on the implementation of project based experiential learning that complements, not duplicates, the traditional school day; and extensive online resources to enable OST staff to work with students on original research projects. Funding will also be dedicated to the development of on-line resources for use by OST programs both inside and outside of the Pioneer Valley. This model of partnerships and alignment will be written up by the Network for a larger-scale program and for efforts to obtain federal funding. The grant award is $39,780 with an additional $60,000+ secured by the Network through in-kind support. 2. Boston STEM Network – Award $57,037 The Boston Private Industry Council (PIC) in partnership with the Massachusetts Afterschool Partnership (MAP) proposes to conduct a pilot study utilizing student interest and program quality evaluation tools developed by Harvard University’s Program in Education and Afterschool Resiliency (PEAR) with the primary objective to scale regional STEM networks’ capacity to promote and implement data collection strategies while also helping to advance program quality in the out-of-school time (OST) community. This pilot project builds upon work already started by the Boston STEM Network and leverages recent Noyce Foundation & Charles Stewart Mott Foundation investments in MAP’s Afterschool & STEM System Building Grant Proposal. This project also nicely complements the proposed project by the Pioneer Valley. The Boston STEM Network proposal was submitted in partnership with three other STEM Networks Metro West, Northeast and Central. The grant award is $57,037 with an additional $23,000 secured by the Network through in-kind support. 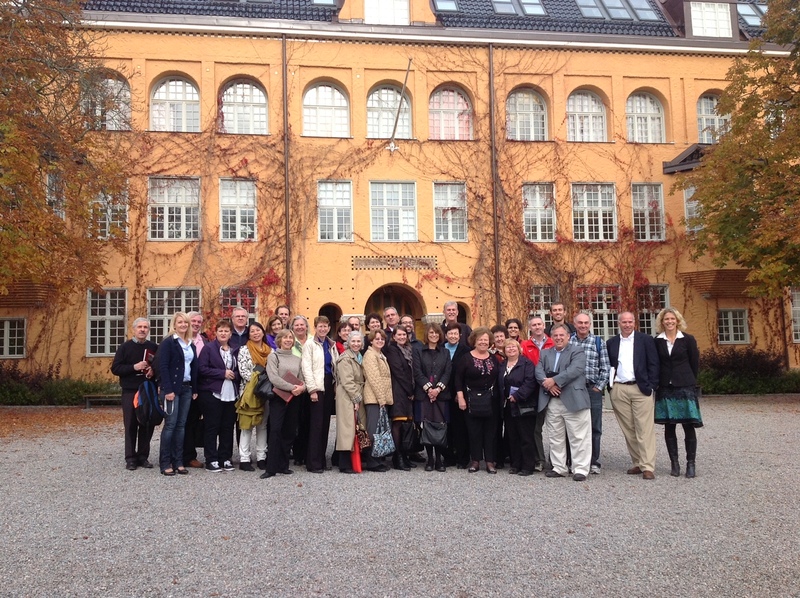 FINLAND & SWEDEN October 2012 A group of 30, mostly Superintendents, spent a week visiting Finland and Sweden to view schools, speak with higher education representatives and meet policy makers. Led by Primary Source and supported by Education First, this was a fast paced exposure to three schools (two in Finland and one in Sweden). The schools we visited are not what I would call typical. Nonetheless, Finland is significantly different in education from the US while Sweden is much more like the US in culture and attitude toward education. On Sunday, June 17, 2012, the Boston Globe ran two classified that reflect the work many of us have been doing for many years! MOVING ON THE COMMON CORE STATE STANDARDS (CCSS) Impacting the Future from the Hunt Institute sets the process in context and features four states’ stories, including Massachusetts. ARE WE USING THE CORRECT CRITERIA? ARE WE USING THE TECHNOLOGY INTELLIGENTLY This article, Technology in Schools Faces Questions on Value from the NYTimes should make us all think again. HOW SCIENCE SHOULD BE TAUGHT A new National Academies’ report about improving U.S. science education reflects research that suggests that science should be taught in connection to how it applies to the real world and to what scientists and engineers actually do professionally. SCIENCE LABORATORY GUIDELINES The MA School Building Authority (MSBA) recently posted new guidelines for science labs for new construction or renovations. Their recommendations can be found on their website. DIGITAL CONTENT GUIDE Please go to http://www.convergemag.com/paper/Digital-Content-Strategy-Guide.html to view this publication from the Center for Digital Education, Dell and Microsoft, published in June 2011. It is also available as a hard copy booklet. 2010 SAT STEM Interest Data for Massachusetts The pdfs in this section, provided as a working draft by the Donahue Institute include: A 2010 Summary of STEM Pipeline. 2010 Occupations & Interest Test-takers who are Interested in STEM majors, but not quite prepared (prepared = completing 3 years of science and 4 years of math; “near prepared” = needing to add 1 more year of science and/or math coursework to become prepared); and Test-takers who are Prepared for STEM majors, but not quite interested in them (interested = a STEM field was the test-taker’s first choice for a college major; “near interested” = while the test-taker’s first choice was not a STEM field, at least one of their second-fifth choices were). Observations: interest is higher, but preparation is lower, in lower income schools. In higher income schools, interest is lower, but preparation is higher. A core of 10 high schools account for 12.6% (one in eight) of “near prepared” students. A core of 11 high schools account for 12.0% of “near interested” students. Thanks to Jean Supel and John Hodgman for this analysis. The Lieutenant Governor released the MA STEM Plan 9 28 10 (version 1.0 based on the work of STEM Advisory Council’s Subcommittees) at the STEM Summit in Sturbridge on September 28, 2010. Please check out the news archive for past news. ©2010 IKZ Advisors — all rights reserved.